What Does Investing In Comics Mean? The act of buying comic books as an investment is a relatively new thing to the comic book world. At first, comics were read, used, and tossed or shared among friends. Few were stored properly and survived today. As comic books gained in popularity and the people who owned them got older, value began to be placed on comics. With the release of comic book characters into pop culture through movies and television, however, there was a marked rise in the value of those classic comic books. Over time, some of those comic books, especially origin issues, can be worth hundreds of thousands of dollars, such as Action Comics #1 worth about half a million dollars. Today, with companies like the Comics Guaranty Company and eBay, even current comics are worth a considerable amount of money. Take an eBay auction where an Ultimate Spider-Man #29 went for $600. That’s 200 times the cover price. Or an All-Star Batman #1 that went for $345 only months after the comic out. This puts the everyday reader of comic books in an interesting situation. Comics as an investment? Comic books are rapidly beginning to look like the stock market. With websites like the Lyria Comic Exchange modeled after just such a system. The dictionary describes investing as, “To commit (money or capital) in order to gain a financial return.” In its purest form, investing in comics means to look at comic books from a monetary standpoint. As a general rule, most comic books will go up in value. How much they go up can vary greatly. That can depend on many factors such as rarity, condition, and popularity. Using comic books as an investment will require much from the collector. The investor will need money to buy the comic books and proper protection and storage to keep them safe. There is also an investment of time. The investor will need to follow the market and track their collection and value. A true “investor” in comics will also need a bit of detachment from their collection. I have comics that are worth some money and others that are worth not much at all, but I wouldn’t trade or sell them for anything because of their emotional value to me. The dedicated investor may need to part with some of their collection if the time is right. Typically, most collectors will be part investor, part collector, and part romantic dreamer. Most collectors have some comics that are the prized possession of their collection and that makes it difficult to sell. Most people, though, still enjoy seeing their collection rise in value. So now that you are ready to start looking into the world of investing in comics, you will first need to find out about your collecting style and if investing is for you. There are many types of collectors in the comic book world. When looking at using comic books as an investment, it is important to figure out what kind of collector you are. Depending on how you view collecting will greatly determine if using comic books as an investment is right for you. 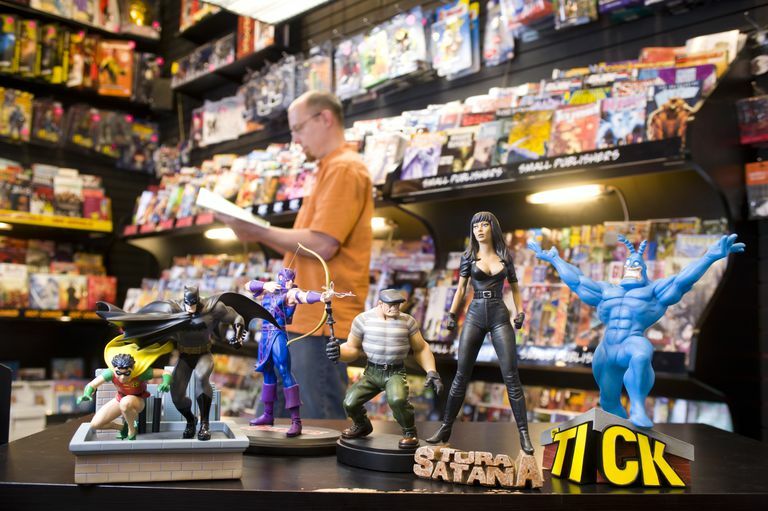 Here are ten different types of collectors and their views on comic books. The Investor. This type of collector views comic books as one thing – money. They view their comics as stocks and a way to acquire wealth. Very little emotional ties are held to their comic books. They buy, sell, and trade with ease with only one thing in mind – how much money they can make. The Obsessive Collector. The obsessive collector will not rest until they have every issue of their favorite series. The comics are cataloged, indexed, with maybe even an excel file of missing issues and the condition and worth of current issues in their collection. They are protected well in bags and boards and held in the correct type of storage bins. To part with anything in their collection is very difficult and would take a large sum of money, or something else they desire more. The Quick Buck. This collector is mostly motivated by quick cash. They buy as many copies of an issue as they can if they think they can sell it quickly at an inflated price. They are constantly scooping out what is the latest or hottest thing. If the price is right, they will quickly sell things from their collection. The Inheritor. This person acquired their collection from a friend or relative. The collection is more of a hassle than a treasure. They wonder how they can get rid of the collection quickly and for how much. The Curator. The Curator is the person who sees comics as art that should be valued and displayed as such. Their comics are to be seen and read but treasured. Special steps are taken to protect their comic books, even to the extent of special frames. Comic book art is something that may become part of the collection as well. While they may read them from time to time, bare hands are out of the question. Don’t you know how much that is worth? The Average Joe. This collector sees comics as a great, enjoyable, and fun hobby. While steps may be taken to protect their comics, they are often banished to basements, attics, and other undesirable places. The Average Joe collector loves both the story and the thought that their comics are gaining in value. There is a strong emotional investment in their comics and the thought of parting with them is difficult. Dreams of owning that rare comic or art are aplenty, but the money just isn’t there. The Graphic Novel Collector. The Graphic Novel Collector is quickly becoming a popular lifestyle for many comic readers. Graphic Novels are generally cheaper than buying comics individually and one can read an entire story arc in one sitting. Although not worth as much as individual comic books, the Graphic Novel collector is more concerned with a great read at a great price. The Ebayer. Ebay has offered up a great source of comic books to many collectors. The Ebayer is thrilled with the rush of the auction, watching the items they are selling or buying go up in price. The Ebayer is ecstatic when they get a good deal or an auction sells well. Reading is generally a part of this collectors life, but it may be unsure whether which is more important, the act of auctioning or reading a great comic book. The Part Timer. This collector comes in and out of collecting, often stopping and starting with different series. They are not attracted to any one series for long and their collection can be rather piecemeal. They hope that what they have is worth something, though, and may just have that one rare issue, due to their comic book hopping. The Reader. This type of collector uses their floor as a comic book storage bin. Sometimes they may have a comic rolled up and stashed in their back pocket. Tears, folds, and rips are meaningless. What truly matters is the story, the story man! Comics are read for pleasure and not collected for profit. You should obviously take this list with a grain of salt. You probably have something in common with many of these types of collectors. The point is, if you are more like The Reader than The Investor, then you might not want to use comics as an investment. If you are starting to get serious about investing in your comics, and in reality, you already have invested the money to buy them and the time to read them, then you will need to know how to protect, track, and manage your comic book collection efficiently. When it comes to investing, protection needs to be discussed. The typical way to protect comic books is with mylar bags, comic board backings, and a special cardboard box designed to hold comic books. This type of setup will work for most comic collectors until you get into the higher end comic books. Then you need some serious protection, which we will touch on later in this section. As stated before if you have all the appropriate protection, then you are pretty much set, but there is something you may have overlooked and this is a key component to properly protecting your collection – the storage environment. Comic books have a tendency to get stuck in weird places. Attics, garages, wet basements, sheds, and other unsavory places are a likely place for many comic books. Heat, humidity, dampness and other extreme conditions are will greatly affect the condition and therefore the value of your comics. The best place for your comic books is a climate controlled location. A bedroom, study, office or something else that will keep a good constant temperature is the best thing to preserving the value of your comic books. For advanced protection, there are some options out there. When you are talking about comics worth hundreds, thousands, or even hundreds of thousands of dollars, a few bucks for a top notch protection device is nothing. Here are some options to consider. As with any high-end investment, please do your own research. These products are being endorsed as an option, not a promise that they will keep your comics safe. Volstor Storage Cases - These cases act as a binder and protect them from all sides and are ready to store in a bookcase. USA Display - Provides three different models for higher end protection. Comics Guaranty - When you send your comic book to Comics Guaranty, they will not only grade your comic but send back in a special protection holder. One final thing to consider when looking to protect your more expensive comic books is to use cotton gloves when handling and reading those comics. The oils from your hands can greatly damage your comic books if you are not careful. Tracking your comic book collection consists of keeping a list of your comic books, knowing the original cost and current value of your comics, as well as what comics are doing well in value and by how much. Knowing what you have and how much it is worth can be a great consumer of your time. Fortunately, there are many things available to collectors to help them with their collection. With the advancement of technology, the collector has one of the greatest tools in tracking their collection – the home computer. With your computer, you can use many different things to track your comic books. You can use spreadsheet or database software such as Excel or Access. There are also computer programs and websites that are specifically designed to help the collector track their comics. These programs are a powerful tool in the constant battle of keeping track of your comics. Here are a few of the programs and websites available today. Comic Book Manager - Free to try and only $10 to register. This is a simple database program that will allow you to keep track of your comics. Does not appear to have a prices function. Rated 3 out of 5 by CNET’s Editors. Comic Book Millennium 5 - $19.95 to download. This program boasts over 30 different reports and many other features including the ability to add monthly subscriptions. Grand Comic Book Database – A grassroots comic book database that offers a free online comic book tracker. Comic Book Database – A great comic book database that allows you to track and see prices based on condition. Stash My Comics – Track your comics with another online database. Allows you to search your comic collection with a search engine type feature. Shows prices and value. 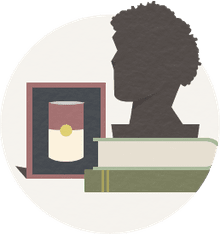 Lyria – The Comic Exchange – A website designed like the stock market. Offers free searching of comics for prices and soon to be offering an option to manage your portfolio. Has an index of “Blue Chip” comic books that tracks the most popular comic books. Once you have the right protection in place and you have an efficient management system ready the next step is to purchase comics for your portfolio. One of the most important aspects of maintaining a collection from an investment standpoint is the buying and selling of your comic books. This is also one of the most dangerous parts of the process, so some careful thought is key here. If you rush in to buy a comic off an auction site or through a dealer without doing the proper research and background checking, then you may be in for a shock when the product is less than desirable or not what you thought it is worth. Right now, there are probably a couple of good avenues when looking at buying comic books. The first is to buy high-end comic books that will retain their value over the long haul and go up in price over time. The other is to buy current comics that have a high interest and turn them for a quick profit. When looking at buying high-end comic books there are some essential things to consider. Only then will it be able to be considered a wise purchase. Is the comic book a well-known item? Classic titles by Spider-Man and Superman are good bets that your investment will grow in value over time. The obscure title may be valuable to a certain few, but for your investment to truly grow in value, the purchase should have a wide fan base. Old does not equate being worth lots of money. I went to a garage sale one time (great place to find comic treasures) and saw a sticker on an item that read, “Old -$10.” Just because something is old, does not make it valuable. Old, sought after, and in pristine condition are the markers for a wise investment. Ratty comic still equals tons of cash. Many people will pull out that classic comic and say that it is the prize of the collection. Granted, it has no cover, and the pages are yellow and torn, but it is still worth thousands of dollars, right? There are many ways to buy these comic books. One of the most popular is, of course, Ebay. There are alternatives though and when you are looking for a particular comic for your collection, it is best to take the time to look through the various avenues to make the best possible purchase. Here is a list of some great places to buy and sell higher end comic books. Ebay has become the largest online auction site. You can find a great many of deals and items here. One of the most popular places to buy and sell comic books. Heritage Comics has been around for over 30 years and even has entries in the Guinness Book of World Records, one of which is for selling the Nicholas Cage comic book collection, getting more than $5 million dollars, making it the highest earning comic book collection in history. Mile High Comics has been around for over 25 years and has a large supply of Golden Age comics. Another way to turn a profit with comic books is to look for current comics that have a large interest and become highly sought after. 30 Days of Night is one such series, with the original first three issues now going for as much as a hundred dollars. Other current showstoppers have been comics like Mouse Guard, which has quickly gained the limelight as well as top prices going for over fifty dollars, and this is a comic that has come out this year. Here are some tips for looking to buy current comic books. Variant Covers – Variant covers are typically a hot item and can be a great way to get a higher price than the normal comic book. First Issues – The first comic book in a series will often be the most sought after comic book in a series. Watch out for those comics that are highly pushed by publishers as they will publish too many for the comic book to truly rise in value. X-Men #1 was a good example, as you can still easily get the comic book for around ten dollars. The Hot Comic – As mentioned before, those sleeper hits such as Mouse Guard can quickly gain in value. The trick is to be on top of what is coming out and anticipate what will be worth something later on. This can be tricky, but if you watch for new comics by hot artists and writers, or for new and unique series, then you have a shot. CGC Comics – One of the latest trends in the comic book industry is the Comics Guaranty Company. They will grade comics for you and place a grade on them, from zero to ten. Naturally, higher graded comics will sell for a much higher price. This is also very true for new comics. A Civil War #2 Variant recently went for $450 dollars. As you can see, there are many options when it comes to making money with comics. The trick is to be savvy about what you buy. The next and most crucial step is to know when to sell your comic. Selling your comic books is a serious thing to many collectors. Your comic books become much more than just a possession and take on something else, more like a treasured artifact than just a story with pictures. If you are taking a more cold and calculating route, then selling is just a part of the business. I know a comic book collector who also happened to own a comic book store. To get his back issue bin going, he put his entire collection up for sale. We're talking tens of thousands of comics. Something that would be incredibly hard for someone like me to do. When a collector is serious about parting with his collection, though, they can make an enormous amount of money. Take actor Nicolas Cage, a self-proclaimed comic book fanatic. The one time Superman hopeful put his collection up for auction and pulled in a cool 1.68 million dollars. And that was just for the comics, not to mention the other comic book art and other items that brought him over 5 million dollars. If you are looking to make the most amount of money in selling your comics then you need to approach selling with patience, cunning, and knowledge. Here are some tips when selling your comics. When working with a comic book store, ask to set up a consignment. Most comic shops cannot give you a great price on comics as they need to make a profit. When selling through online auctions, check to see if there are other auctions of the same kind going on. This will keep you from competing with them directly. Also check online to see what the current real time price is for your comic. This may give you an idea of what to expect and whether you want to wait or sell right now. If you really have something of value, check with the professionals. Auction houses like Heritage Auctions or Pacific Comic Exchange Inc specialize in rare and valuable comics. They know how to market highly sought-after collections that will bring in top dollar. Try to have some fun with it. If it’s not any fun, then it might not be truly worth it. As you can see, investing in comics can be a fun and profitable endeavor. It can also be signal big time financial trouble if you are not careful. As with any investing, you may want to talk to a financial consultant before doing anything. Just take it slow and be cautious about spending too much money, too fast and you should be fine. The old saying is very true here, “If it’s too good to be true, then it probably is.” Watch out for scams, be honest in selling, and have fun expanding your collection empire.